How To Ensure Your Prayers Change Your Cheating Husband. It is one thing to obtain targeted prayers that could change your cheating husband; it’s another matter to actually pray effectively to have the change. So the two sides (getting the targeted prayers and praying them effectively) must balance to usher in the expected change of your cheating husband. In this short piece I’ll help you build the foundation which you need to have your husband back to you again, permanently. Obtaining Targeted Prayers That Would Change Your Cheating Husband. It is important to note that it is the Holy Spirit that gives prayer points. Think of it, would God be committed to the prayers He didn’t approve? So, I repeat, it’s crucial that you get your prayer points from the Holy Spirit of God. If we don’t even know what we should pray for, how can we pray acceptably? Things of God have to be searched out and the Holy Spirit will show you what you should know if you ask. (Jeremiah 33:3). Your prayer points are your golden paths to victory – and they are hidden in Bible stories, instructions, commandments and prophecies. I have assembled a bonus of 77 best working targeted prayers (with Bible authorities) which have been proved to change cheating and lying husbands. 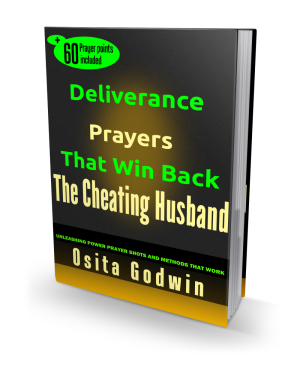 These prayers are included in the ground-breaking prayer manual Deliverance Prayers That Win Back The Cheating Husband. Now that you have the targeted prayer points, I’m going to show you a prayer attitude that will give force to the Holy Spirit inspired prayers. Luke 5:37 - "And no man putteth new wine into old bottles; else the new wine will burst the bottles, and be spilled, and the bottles shall perish". The Altar Of Power: Where And When To Pray To Change Your Cheating Husband. Get used to praying regularly at a particular place in your home. Decide your regular place of prayer… the bedroom, living room, garage, study, or any other place, but don’t keep changing that venue. You can pray through at any hour of the day or night. Your prayer cannot fail just because of the time you prayed. But some hours of prayer are not as 'sharp' in hitting your target as others. That’s why you have to consider more nighttime praying. Prayers of the night are solemn, allowing more weight to the words of your prayer. It’s therefore very powerful when you have to deal with certain stubborn spirits responsible for change of a person or situation. Luke 6:12 - "And it came to pass in those days, that he went out into a mountain to pray, and continued all night in prayer to God". Victorious nighttime prayers are usually connected from 12 midnight till 3am. Also, great times to pray in the day are 6am, 12 noon and 6pm. You could experiment these times in your own time zones with these targeted prayers and see. 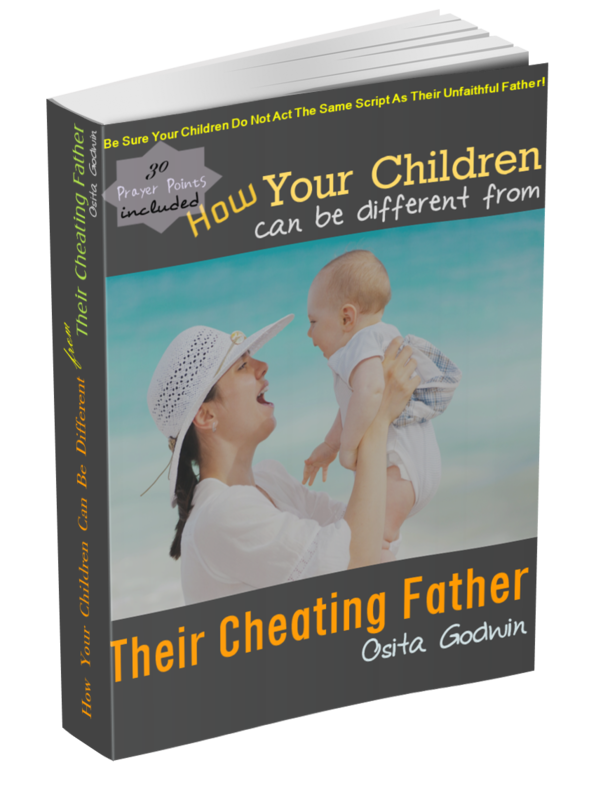 If you truly desire to change your cheating husband, then put to practice what you’ve read here, there’s no way you won’t have a change of story real soon.